Antique 15ct. 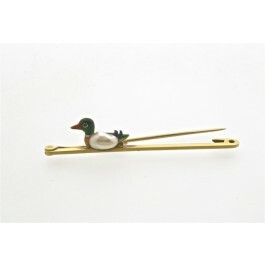 bar brooch set with an enameled duck and natural pearl. 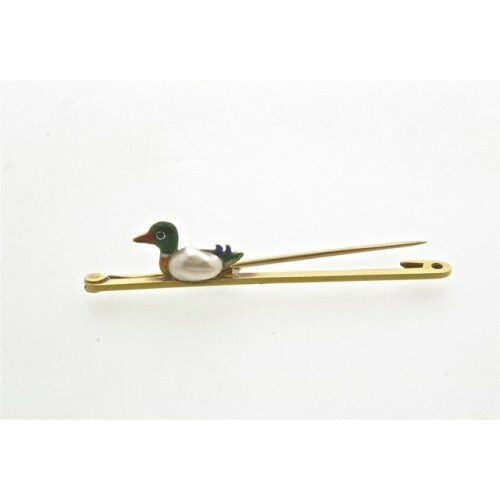 A really fine antique 15ct gold bar brooch set with an enameled duck, the body of which is a natural pearl, beautiful colours on the rest of the body Circa 1900. 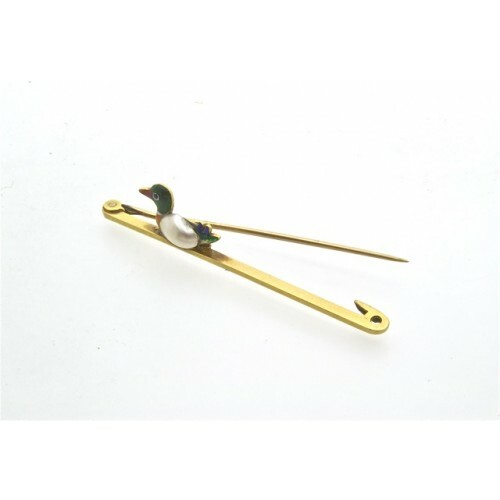 The bar measuring 50mm in length.